Foreign home buyers have hit the pause button in south Florida. Between August 2017 and July 2018, the most recent period for sales data by Florida Realtors, foreign buyers purchased $22.9 billion worth of Florida real estate, a 5% decline from the previous 12-month level. Foreign buyer purchases accounted for 19% of Florida’s existing home sales versus 21% in the same period a year ago. Florida real estate from a foreign perspective is concentrated on South Florida, with Miami, Fort Lauderdale, and West Palm Beach the main attractions. The foreign buyer share to dollar volume of real estate sold there is nearly twice the national foreign buyer average of 10%. Foreign buyers, mainly from Canada and Brazil, purchased 52,000 properties, a 15% drop from the previous 12-month cycle. All told, foreign investors made up 13% of Florida’s existing home sales, down from 15% a year earlier. On a national level, foreign investors buy around 5% of existing housing stock on the market, according to the National Association of Realtors. Florida sales data were released late October. Latin American and Caribbean buyers accounted for the largest fraction of Florida’s foreign buyers at 36%, followed by Canadians at 22%, Europeans at 19% and Asians at 11%. The Asian investors are dominated by China money. European buyers have been trending downward since 2016 , and while it looks like it coincides with the election of President Donald Trump, the National Association of Realtors blames uncertainty about income and employment from those employed in Brexit U.K.
Foreign buyers from Mexico have been cut in half, accounting for less than 1% now, and Venezuelan buyers are almost non-existent as most people who can afford to leave and want to leave have done so already. Venezuela is mired in political and economic crisis. Speaking of crisis, Argentina used to be on par with Brazil in terms of Latin American buyers in Miami. But an economic crisis there (yes, another one) has put its share below that of China’s. Chinese buyers, who account for around 6% of Florida’s total foreign investors today, up from just 3% in 2017, tend to be new immigrants. Most foreign investors are buying property for real estate appreciation and income. But for the Chinese investor, only 39% are treating their purchase as a fixed-income security. Many are migrating and settling there. Despite being known as a luxury residences market for second homes, most of the foreign buyers, in south Florida anyway, are not buying anything near million-dollar properties, according to FloridaRealtors. The median purchase price among foreign buyers was $286,500 in the recent period, versus $259,400 last year. Foreign investors tend to spend on average 20% more than the locals do, with Brazilians and Chinese investors being the biggest spenders. They dish out at least $300,000 for a property. Some 71% of foreign investments into South Florida real estate was into properties valued at less than half a million dollars. Due to weak emerging markets and a strong dollar, Florida real estate brokers say they worked with less foreign buyers in the 12 months ending in July. Still, some 41% of respondents surveyed by the National Association of Realtors say they worked with an international client, down from 44% last year. That’s nearly double the national average of 23% of brokers working on foreign purchased real estate deals. Only 23% of Florida Realtors said they saw an increase in international business, down from 26% saying so last year. And less than one-third of respondents said they saw more traffic from foreign buyers in the period ending in July, down from 33% last year. As a result of weak emerging markets, and a strong dollar, just 34% of those surveyed by the Realtors association believe this next 12-month cycle will be better than the previous one. That’s not a huge difference from a year ago when 37% of respondents said the same thing. South Florida real estate has also been hit with the lack of new land deals and rising prices for new development projects. Many developers have been inching further north into central Florida instead, with foreign real estate investors just starting to discover it thanks to continuous Disney World expansion. “Thanks to Disney’s and Universal’s expansions coupled with affordable real estate pricing, we are still seeing an accelerated interest in purchasing real estate (here) with buyers from as far away as China, Brazil, Colombia, and Iceland,” says Noah Breakstone, managing partner of BTI Partners and key developer behind The Grove Resort and Water Park in Orlando. “Lots of buyers see it as a better value than Miami,” he says. According to the National Association of Realtors, just under 11% of the state’s foreign buyers were investing in Orlando in 2018, down from 9.4% this year. 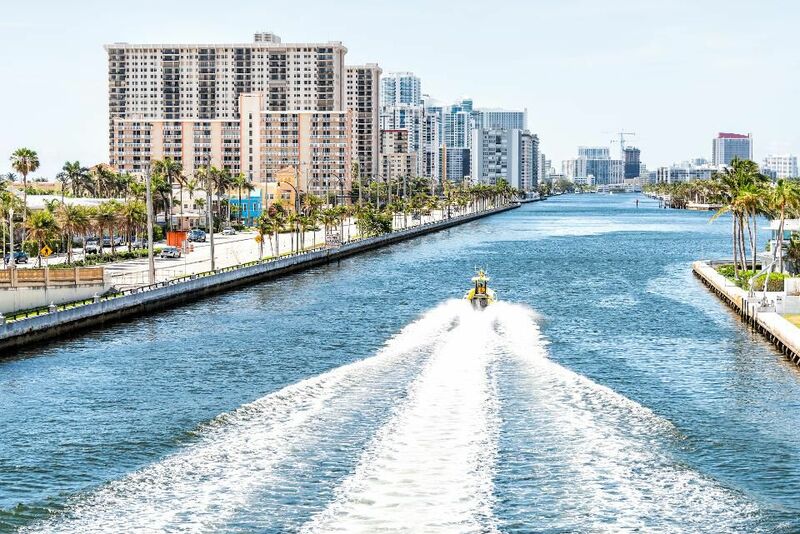 Foreigners still prefer the Miami area, which stretches all the way to West Palm Beach. Some 54% of international buyers were heading there so far this year, up from 52.6% in 2017.